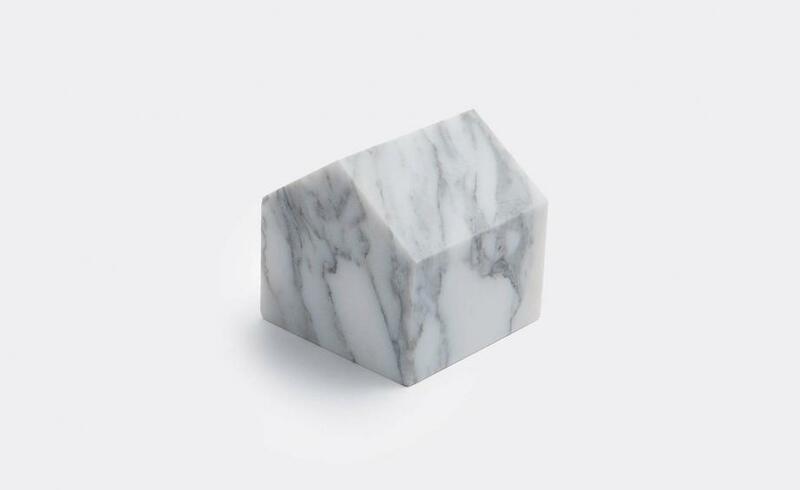 Teaming up with Italian architecture and design studio BBMDS, Luce di Carrara has produced ‘Casina 999’, a limited series of 999 marble mini-houses based on an exploration of the concept of home. The proceeds of the sale of the houses will support the activities of charity ActionAid’s project SIS.M.I.CO that works together with communities affected by earthquakes in central Italy. Minimally-shaped, the small paperweight takes on its own unrepeatable personality, thanks to the use of marmo bianco dell’altissimo. Milan-based Studio Pietro Russo Design had an eclectic array of inspirations for its ’Sat Reading’ lamp, from nature to science fiction. The whimsical design sees a dodecagonal brass ferrule sat between two opal glass pieces, appearing like a robotic lens. 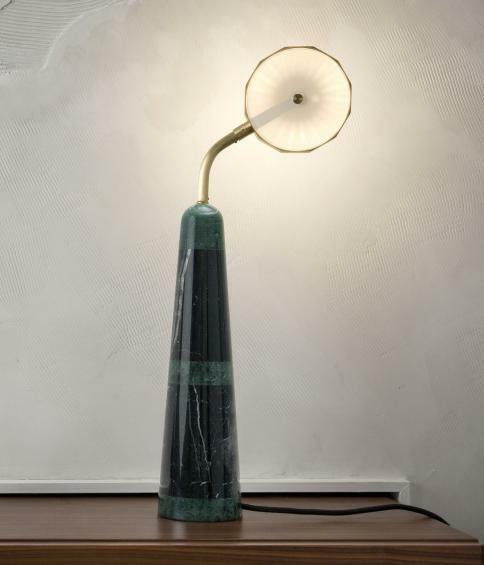 This is held together by a polychrome marble base to create a retro-futuristic table lamp. The playful piece arrives in a magnitude of contrasted marble finishes, suiting a host of different environments. Samuel Chan’s new ‘Stele’ cabinets for Channels have a monolithic, sci-fi appearance, with all six functional elements united by exactly the same proportions. If you are seeking some kind of universal order – at home as well as work – then the complete set of larder, bureau, wardrobe, bar and two shelving units can be mixed and matched to create a world of universal harmony. As with all of Chan’s work, meticulous craftsmanship is paired with elegant lines. 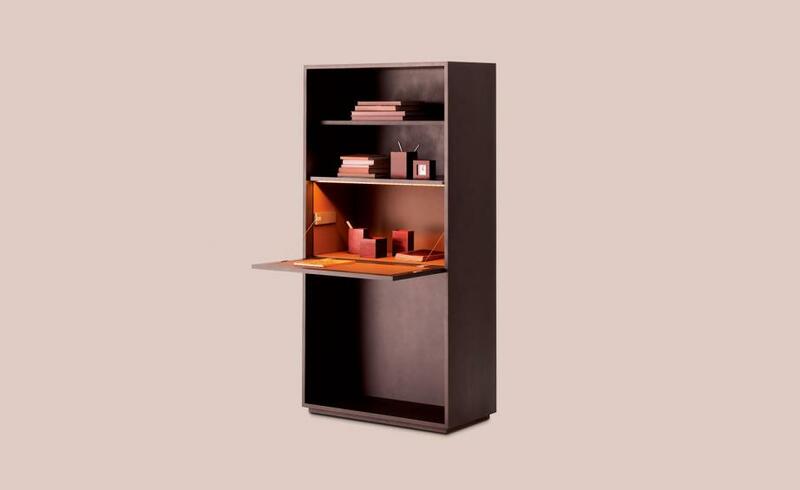 We’re especially taken by the clever bar unit, a brooding but fun-filled presence (with secret side storage for special vintages) that’s perfect for the corner of any corner office or executive den. Slamp’s latest architectural collaborations bring big names to small lights. Alongside new products by Daniel Libeskind and the late Zaha Hadid, there is ‘Charlotte’, a set of three lights by Doriana and Massimiliano Fuksas. The venerable Italian modernists have created a multilayered design that references the structural mesh of many of their major glass buildings. 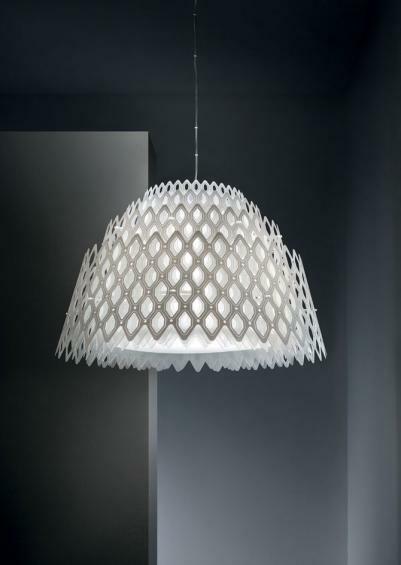 It can be hung or placed on the floor, creating architectural statements through the mix of veiled light and shadow. Agresti’s elegant armoires are a more than acceptable way of placing a strongbox in plain sight. 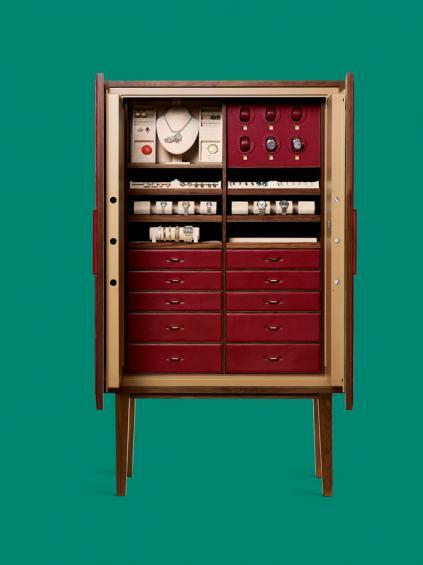 Its armoured cabinets are exquisitely finished but supremely secure, with biometric tech for opening and secret compartments galore for stashing everything from jewellery to documents. The latest finishes for the Lei-Lui range includes matte Canaletto walnut and embroidered leather, with optional gold hardware. Inside, integrated Swiss-made watch winders keep your investments ticking over as well as away from prying eyes. One of Denmark’s leading architects, Vilhelm Lauritzen also created a number of fixtures and fittings, and Louis Poulsen has relaunched one of the best, the ‘VL38’ lamp. Originally created for Copenhagen’s Radio House in the 1930s, it is now available in black and chrome. Celebrity collaborations are rare on the ground in the furniture industry. The actor and former NFL footballer Terry Crews has worked with Bernhardt Design to create a five-piece collection that is inspired by midcentury designs, as well as by his longterm obsession with ancient Egypt. Crews’ background in illustration is pushed to the fore: the ‘Lily’ chairs and ‘Float’ tables are based on the forms and proportions of hieroglyphs, with an added spindly, Googie twist, while the ‘Ibis’ sofa references the outstretched wings of the sacred Egyptian bird. 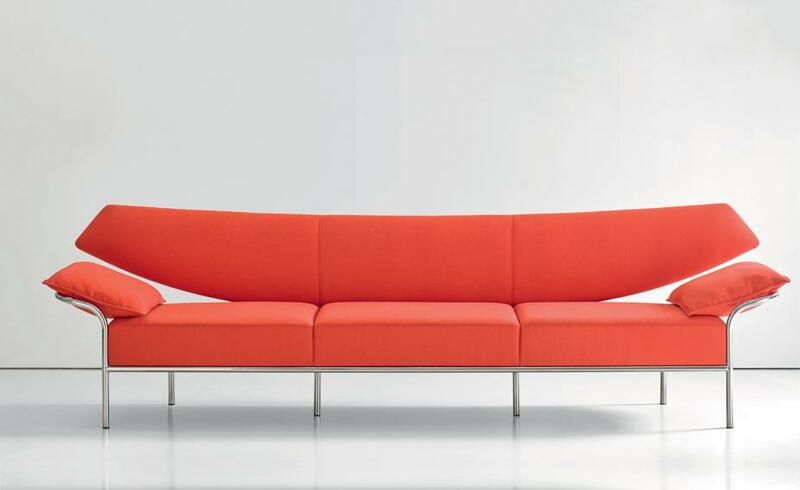 Stainless or matte steel and American walnut are paired with pastel upholstery from Bernhardt Design’s own textiles division. Emeco’s new ‘111 Navy’ counter stool is a hard-wearing addition to the collection, with a form derived from the wartime military aluminium chair, just like its shorter stablemates. 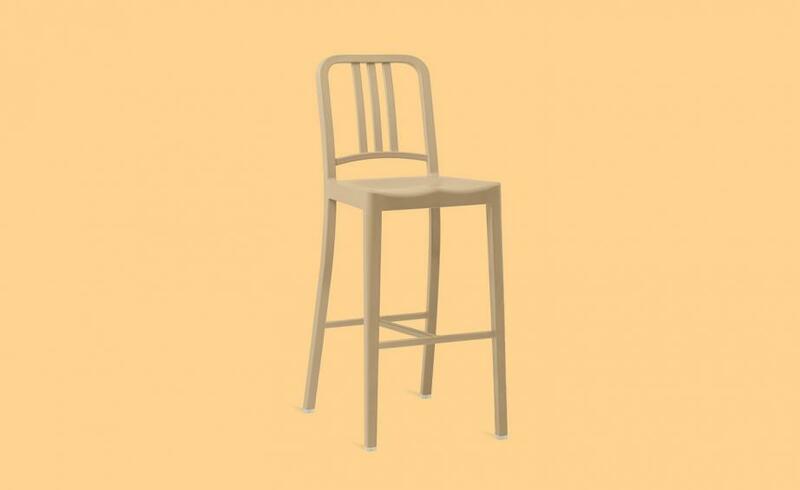 The American-made bar stools are heavy-duty but also gentler on the environment, thanks to the use of 100 per cent recycled plastic instead of metal (the ‘Navy’ chairs contained 111 bottles – the stool contains 150). The new Beach colour adds more flexibility to a functional object with a strong heritage and a light environmental touch. 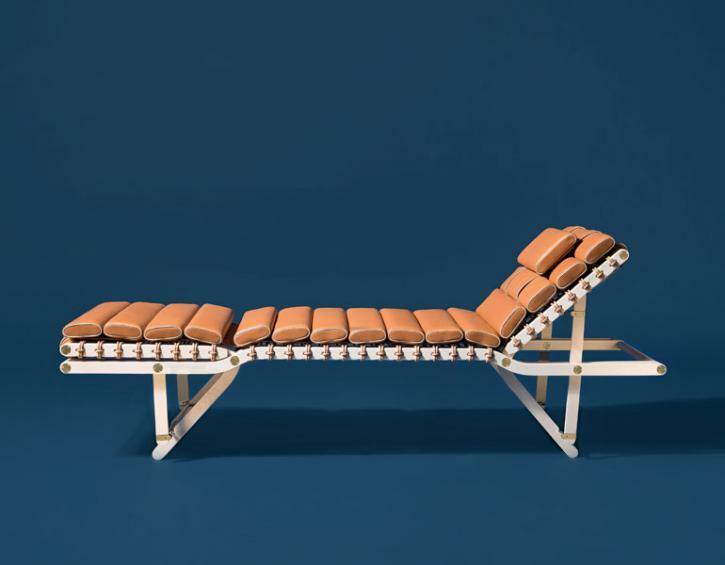 Neri & Hu were inspired by a 1977 Vico Magistretti creation for their collaboration with Munich-based brand ClassiCon. 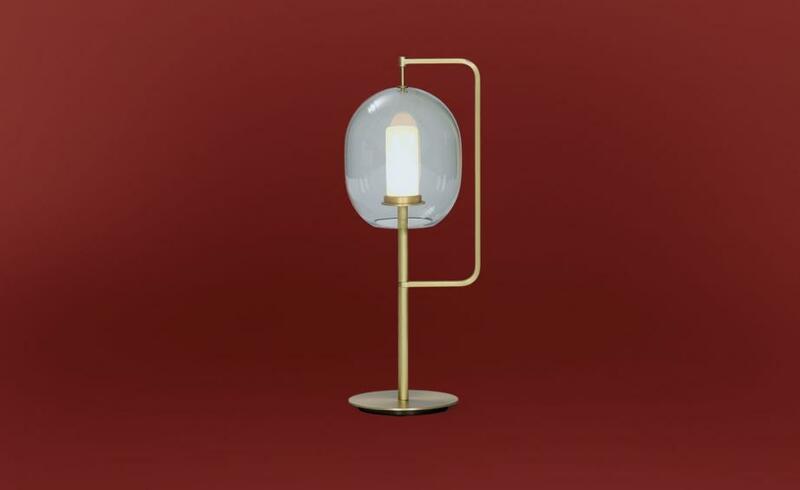 The Italian designer’s ‘Lyndon’ light (also Neri’s first name, coincidentally) was a metal structure holding a glass ball – an upright rod with an illuminated tip, which Neri & Hu liken to ‘its ancient predecessor, the fiery torch’. The pair’s reinterpretation, which commemorates the tenth anniversary of Magistretti’s death, is made of brass and hand-blown crystal and, while the original design had a metal ring encircling each glass globe, Neri & Hu’s airy creation features a handle-like appendage that leaves more space for the glass to shine. 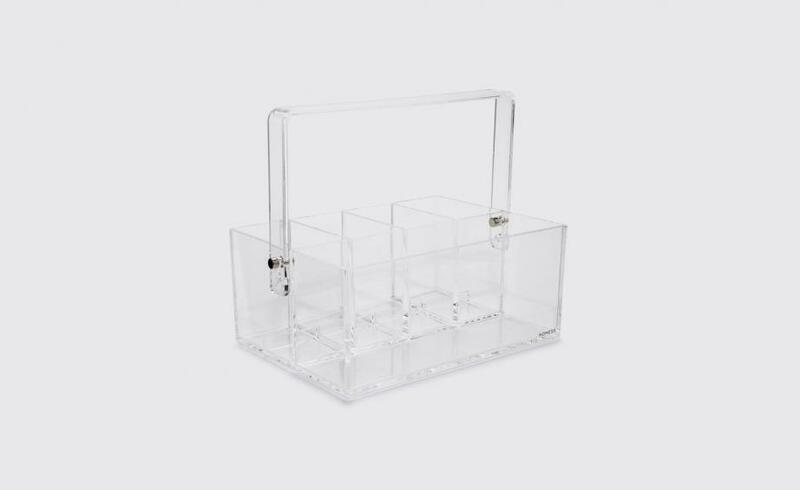 Nomess’ clear acrylic tools box is the ideal solution for dressing table and desktop clutter. Perfectly sized to hold makeup tools and products, the box accommodates four compartments of varying sizes as well as a fully flexible handle for easy transportation. With artistic director Pierre-Alexis Dumas at the helm, Hermès has been nurturing an impressive home-grown design team under the name of Studio Hermès. Its latest furniture and home accessories collection, presented at this year’s Salone del Mobile in Milan, features a series of sophisticated pieces, including a leather-lined serving trolley, an occasional table and small boxes. 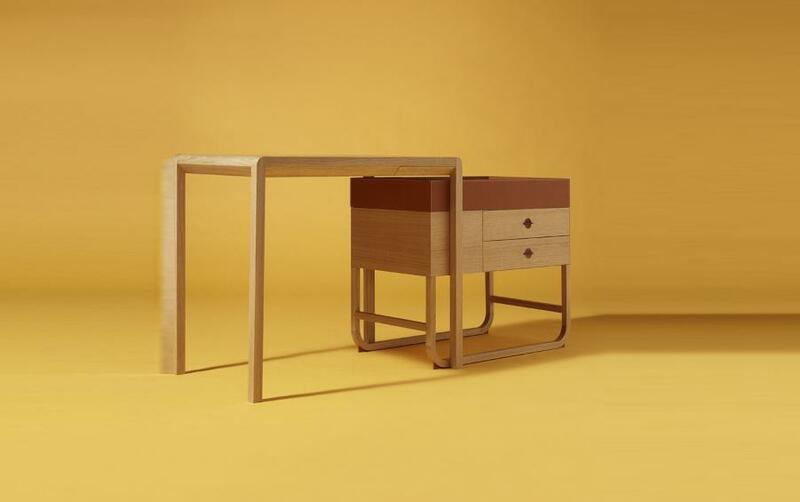 Our favourite piece, undoubtedly, is this modular ‘Équipages d’Hermès’ writing desk. Made of natural oak, it’s a perfectly proportioned writing table with a small double-drawer storage unit, partly clad in fawn bull calf leather, that can be positioned under or next to the table. 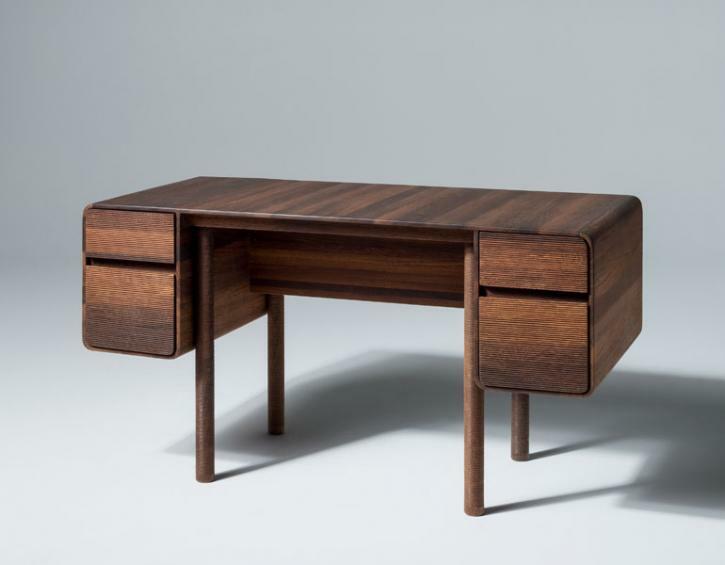 Danish minimalism marries American craft in this writing desk. Launched at NeoCon fair in Chicago, the wooden piece has an adaptable shape designed by Copenhagen-based OEO Studio as a ’simple’ workspace (just as the title alludes). There is nothing simple about the manufacturing though; created by American furniture company HBF, their fine wood adds subtle warmth and rigour to the model, drawing it away from the corporate office furniture aesthetic. Conceived by Hanhsi Chen and Shikai Tseng of London studio Poetic Lab, this tape dispenser is an accurate summary of the duo’s design approach, where functional objects are stripped down to their most basic elements and shaped into sculptural forms. 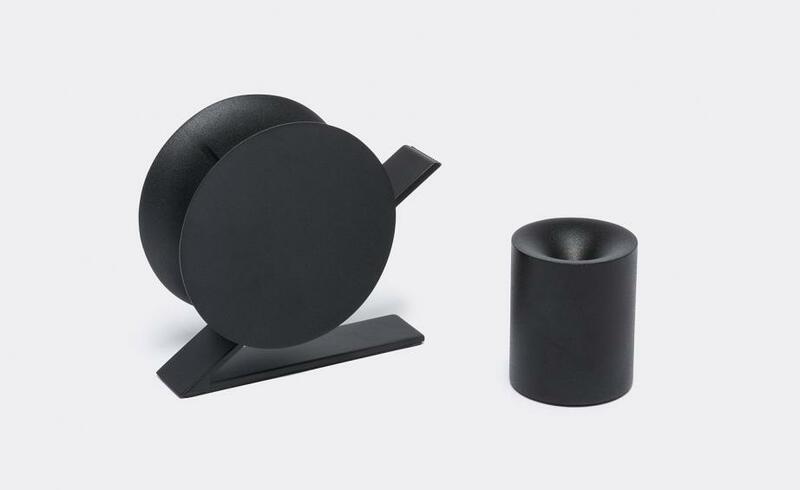 Simple, elegant and modern, this dispenser consists of just a pair of matte black zinc steel concave circles and a cantilever from which the tape is torn. To celebrate the 100th anniversary of the birth of Italian architect and designer Ettore Sottsass, who passed away in 2007, Roche Bobois has reissued his classic ‘Valigia’ lamp. 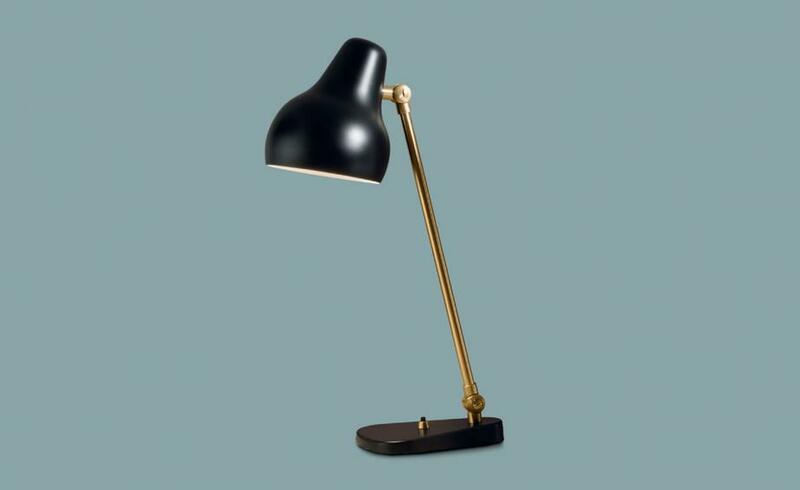 The Memphis desk lamp feels just as contemporary today as when it was created 40 years ago. 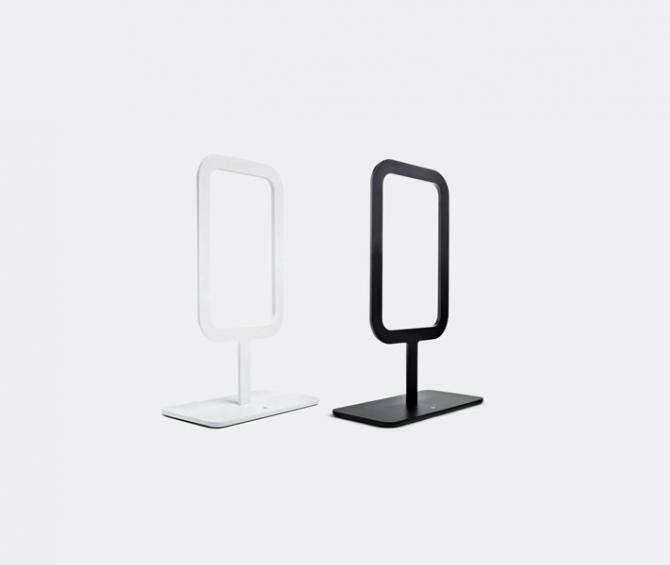 It comprises a single bent metal plate on top of four, lacquer-coated steel legs. The original red and black version is complemented by a new white and black edition for 2017. Inspired by the irregular shaped leather cuts that are leftover when a hide has been used for larger items, Simon Hasan’s ’Offcut’ collection presents a series of valets for small items. 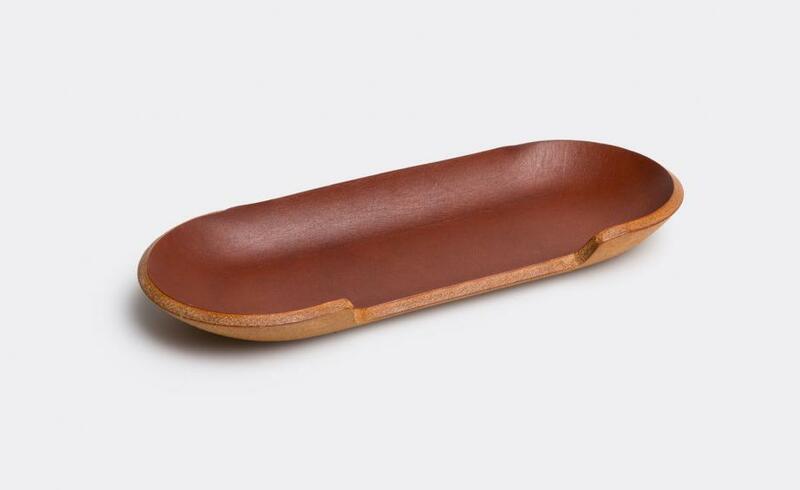 Crafted in Shoreditch, London, the ’Offcut Lozenge’ is an ideal desk companion and is suitable for holding coins, keys and phones. The use of unfinished pressed vegetable leather ensures that this piece will develop a patina over time and bear the unique wear patterns of its user. Designed to fit into the modern lifestyle, Dean Edmonds’ new collection consists of seating that ’stacks and packs.’ Edmonds’ compact, self-assembly design attempts to accommodate frequent moves and smaller spaces, as and when needed. 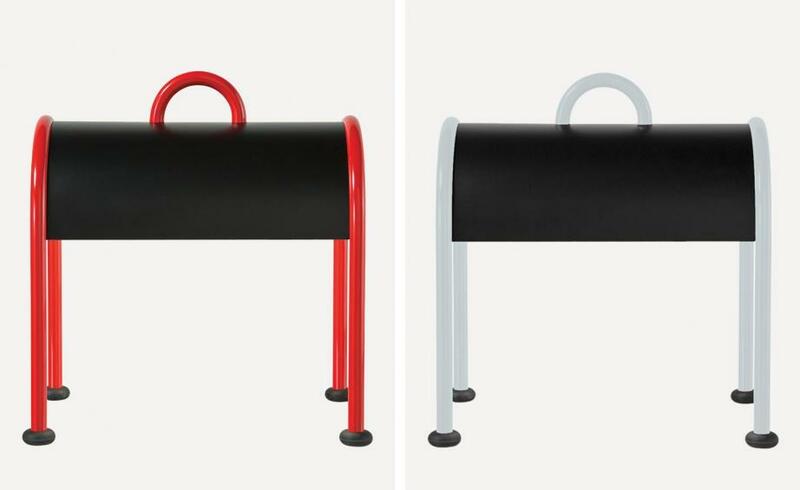 His sophisticated stools are made out of sleek, lightweight zinc plated steel that evoke an industrial look and are part of an edition of seven. 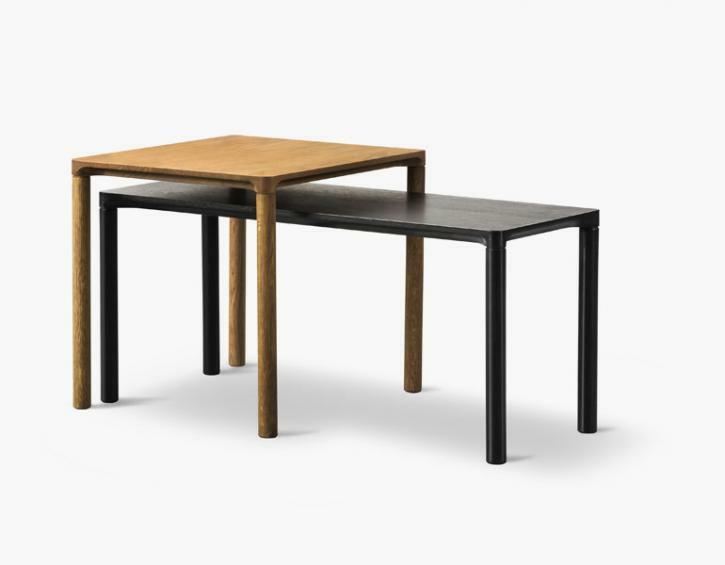 Danish brand Fredericia Furniture has collaborated with Portuguese designer Hugo Passos to create this versatile collection of functional tables. Drawing on Passos’ expertise in wood, they have carved the simple collection intricately to create slender thin tops and contemporary round legs. Available in different finishes including oiled, black lacquered and white, the pieces can be used in every room for any occasion. Taiwanese stationary experts Ystudio dedicate their work to the creation of powerfully minimal everyday objects – such as this pencil lead box. 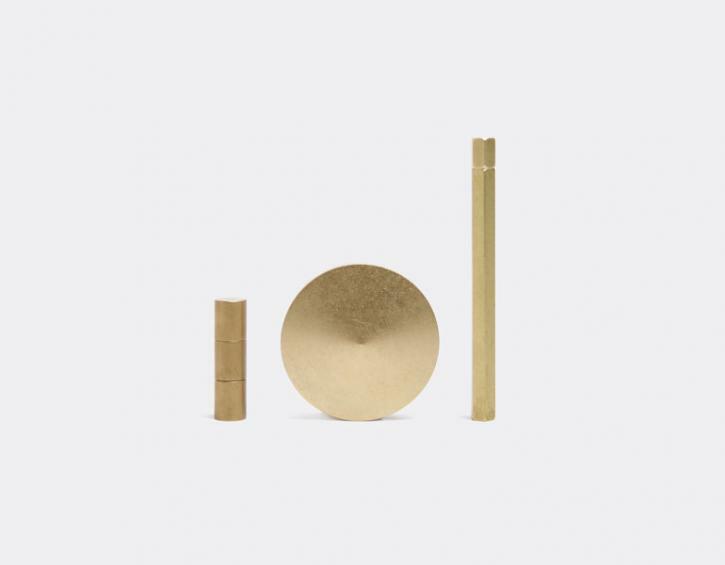 Designed by the firm’s founders, Yi & Yanko, the gold-coloured brass and copper piece will be the perfect counterpart to your mechanical pencil. 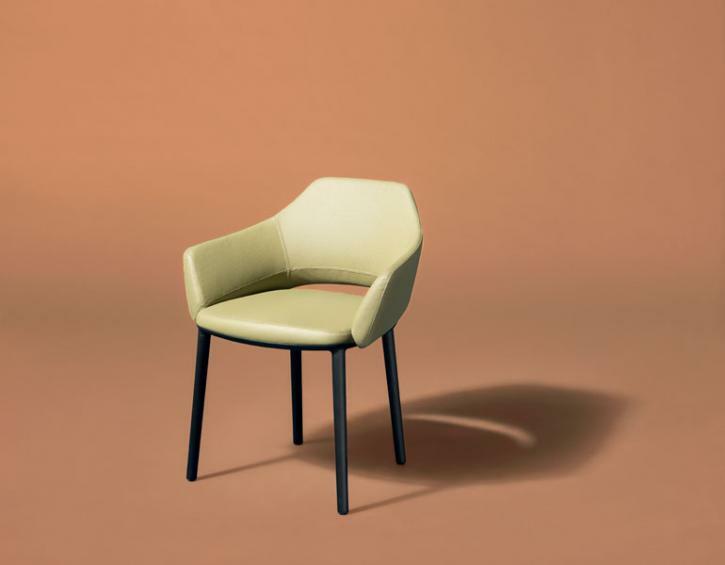 Patrick Norguet’s chair mixes discreet sophistication with an inviting cocoon-like quality. Echoing midcentury forms, the chairs are upholstered in leather or fabric (the version pictured here is in olive green leather) and feature a base of bleached ash, black- or grey-stained beech, or oak. The luxurious modular daybed, with ‘Meridienne’ mattress, from Rena Dumas’ design studio, features 15 removeable cushions in fawn bull calf, supported by a maple structure. Polish-American architect Daniel Libeskind is no stranger to designing furniture, and his portfolio includes a sofa for Flexform and a bookcase for Poliform. 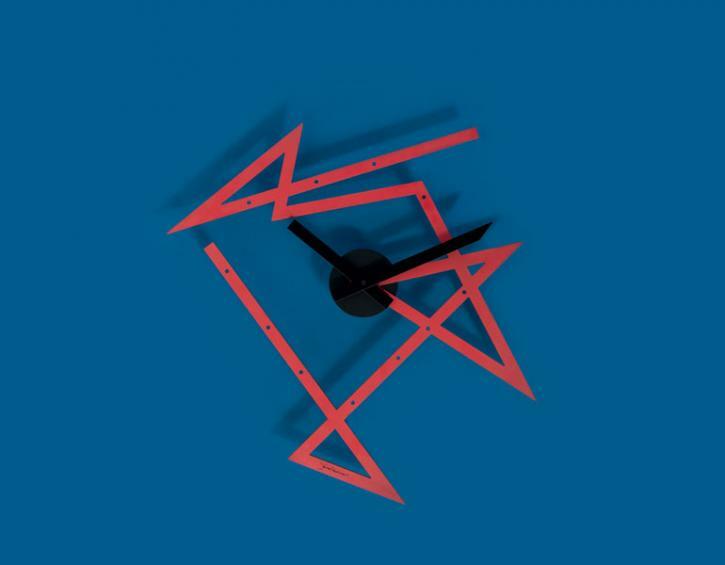 This year, Libeskind worked with Alessi to create a striking wall clock that echoes the sharp corners and erratic lines of his visionary architecture. Eschewing traditional clock-face designs, the architect chose instead to focus on a continuous line, in red epoxy resin-coated stainless steel, tangled into an angular maze and complemented by a black circular mechanism with black hour and minute hands. Turning time on its head, the clock can be hung in any orientation. Botswana brand Mabeo focuses on wooden pieces by the likes of Claesson Koivisto Rune, Luca Nichetto and Patricia Urquiola. This simple desk, by founder Peter Mabeo, is inspired by a saddle bag and is enriched by linear carvings on the side drawers. 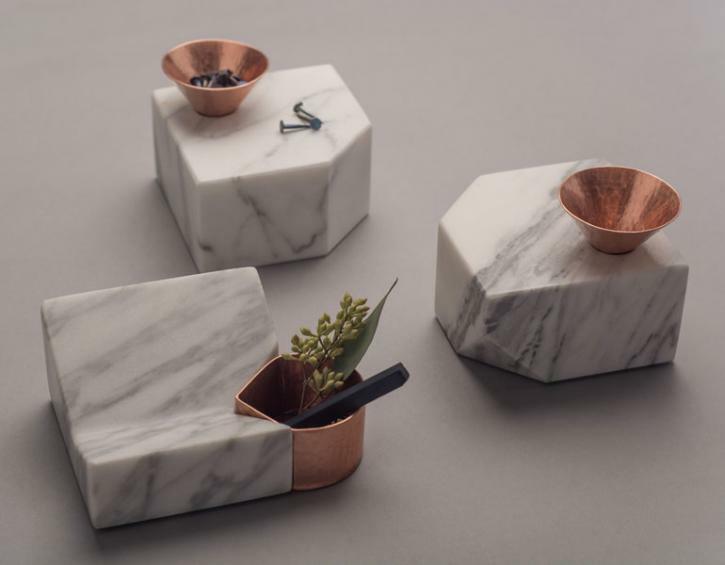 In a trend pleasing combination of marble and copper arrives the Santa Clara organiser. 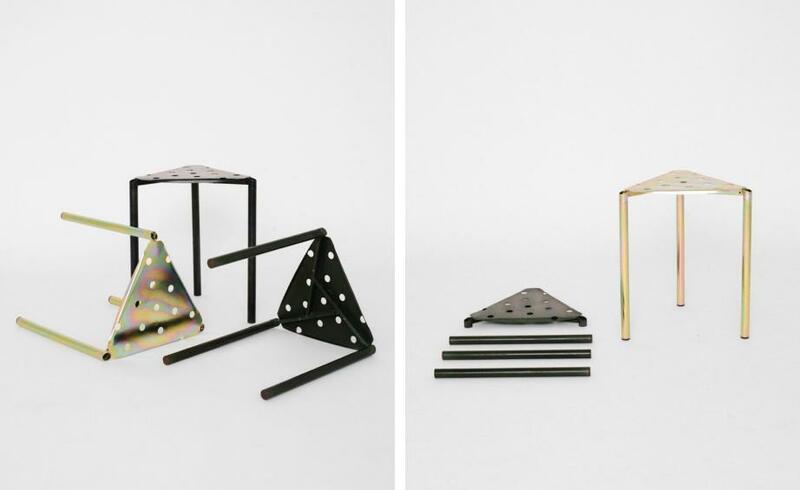 The multifunctional geometrical pieces are the work of Mexican design studio Peca. Established in 2007, the Guadalajara-based company works with natural, local materials and designers, including Caterina Moretti. Taking its name from the Santa Clara del Cobre, the birthplace of the Mexican tradition of coppersmiths, the sculptural piece can make itself at home in a study space, all the way to the kitchen. Protruding out of the wall, this cabinet converts traditional cabinetry into abstract contemptorary furniture. Designed by Korean-born Choi Kunsik who currently resides in Sweden, the unusual storage system is made from 589 pieces of pear, maple and wenge wood. 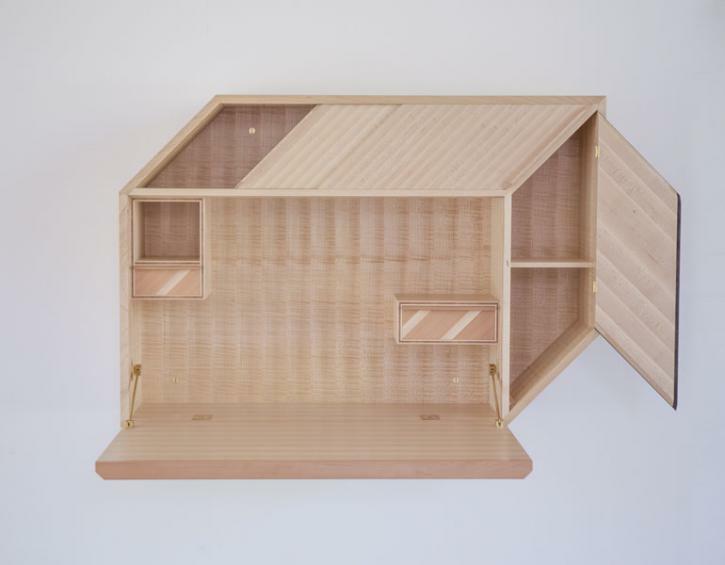 The structure closes to form a perfectly cubed shape and opens as if into a dolls house. Inside we find hidden compartments and the front flap unfolding into a compact desk. Designed by FX Balléry for French brand Arpel Lighting, the ’Framed Noir’ lamp presents an elegant luminous window that disperses a soft, warming and indirect light. The single shape design features a touch switch with 4 preset levels and an 11 watt bulb with a luminous flux of 900 lumen. 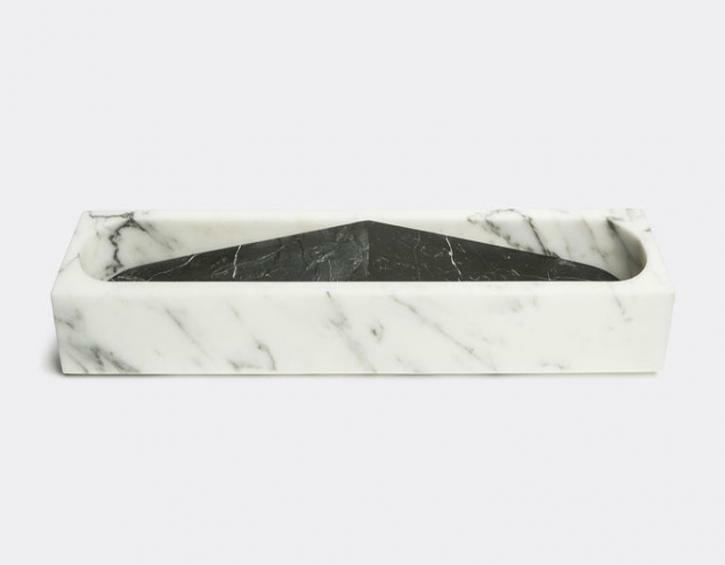 Presented in 2015 as part of Marmo Domestico, the very first collection of objects by Bloc Studio, the Mario container is made out of white Arabescato marble and black marquinia. Realised by design duo Thévoz-Choquet (CH), the piece’s simple, clean shape lets its fine materials take centre stage. 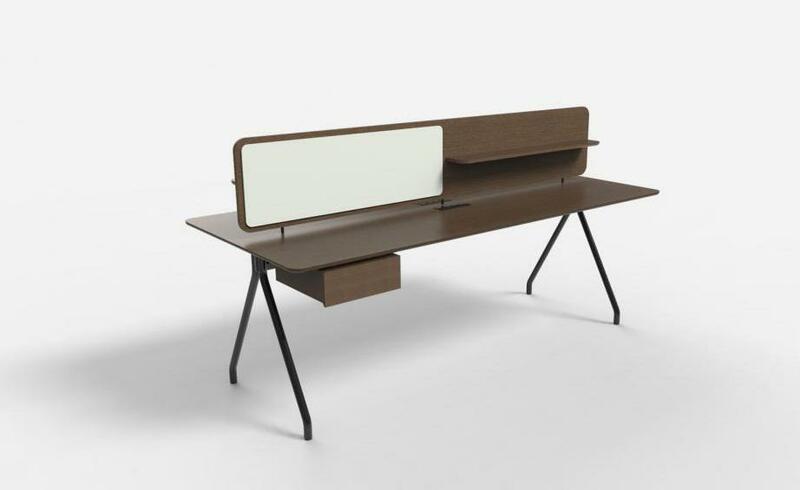 Created by Greek designers Shibui, ’DSK01’ is a chic and creative storage solution for those short of desk space. 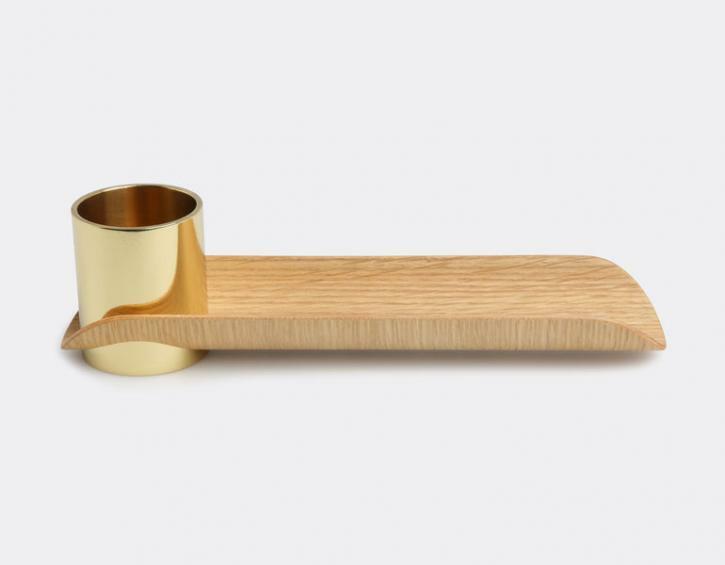 Inspired by simplicity, DSK01 combines a smooth oak item holder with a highly polished bronze penholder. The piece will neatly contain a variety of small stationary and trinkets in its modern curvaceous structure. Designed by French brothers Ronan & Erwan Bouroullec, the award-winning Ruutu vases come in five sizes and seven colours. Each piece is unique, as it is mouth-blown into a steel mould and polished by hand. 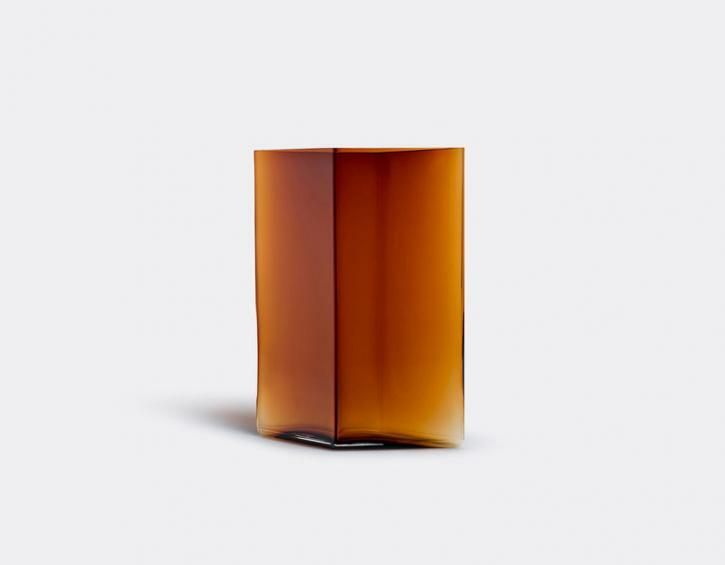 Its angular yet fluid shape might look simple enough, but in fact it takes no less than seven highly skilled craftsmen in Iittala’s factory in Helsinki to make just one vase. Originally trained as a traditional carpenter, German maker Ralf Kötter later integrated his background with interiors design and engineering training, and the results of this mixed experience blend seamlessly in his brand, enigmatically titled Enfin Design. The Visupure chair is a good example of this eclectic mix, combining subtle craftsmanship touches with a quintessentially industrial shape. A thin aluminium sheet is bent into a U-shape and welded with another aluminium part to form the backbone of the seat, which appears to be floating on its bouncing feet. 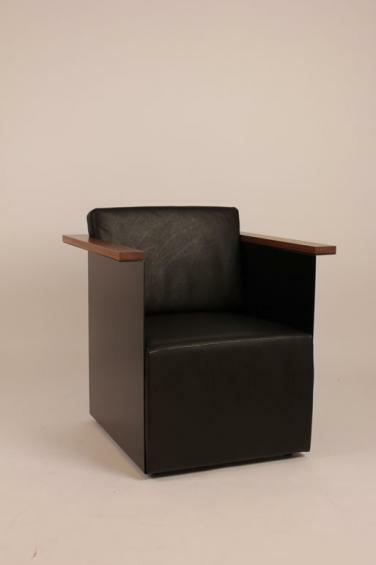 The metal construction is powder-coated and polished, then combined with solid walnut armrest and black leather upholstery. The refined woodwork of Belgian designer Benoît Deneufbourg meets the Scandinavian-Japanese minimalism of British manufacturer Another Country in this elegant, geometric set. 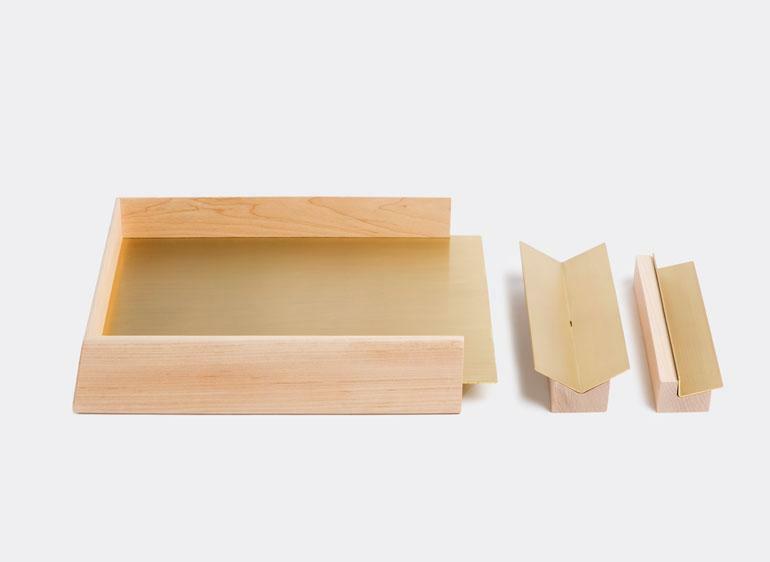 Made in the UK from solid maple, and using swathes of brushed brass to stunning effect, the three beautifully crafted pieces – a stackable paper tray and two different pen and pencil holders – will certainly add a sculptural touch to your desktop.